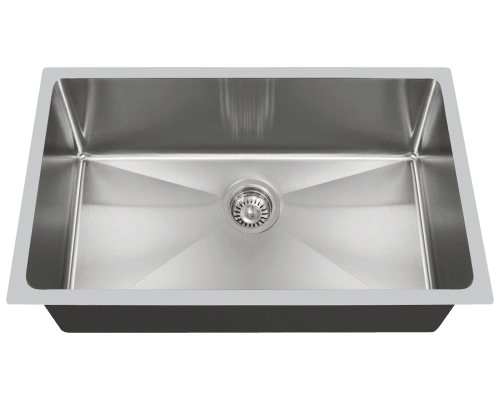 MR Direct stainless steel sinks are comprised of heavy-duty 304-grade steel. 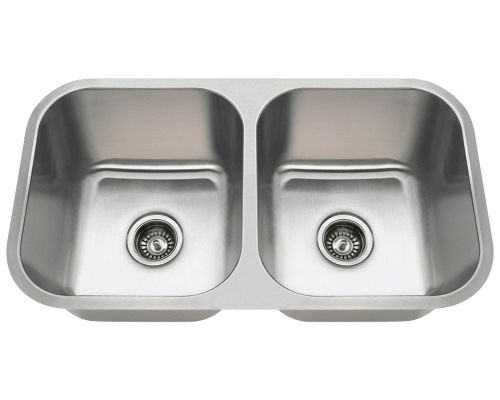 This high-grade composition yields a corrosion-resistant stainless steel sink that is durable and sturdy. Despite this, it is important to retain your sink's luster and keep it scratch-free with daily maintenance. 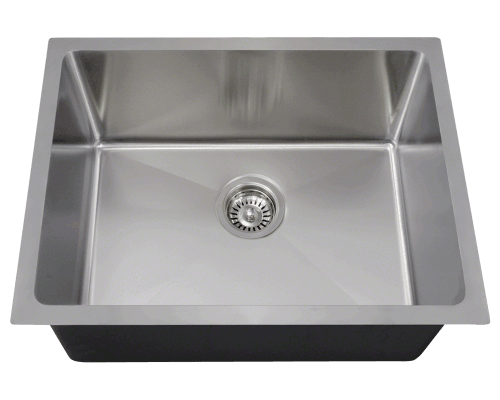 Below are some tips on how to clean stainless steel sinks. 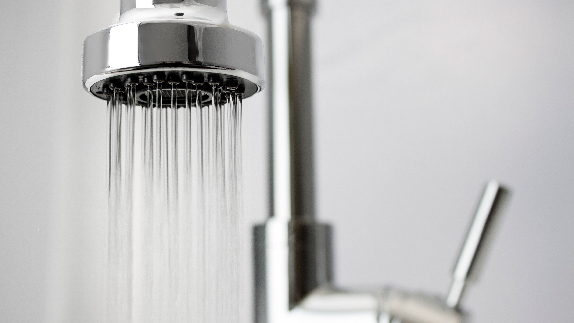 For everyday use, rinse your sink often with tap water. 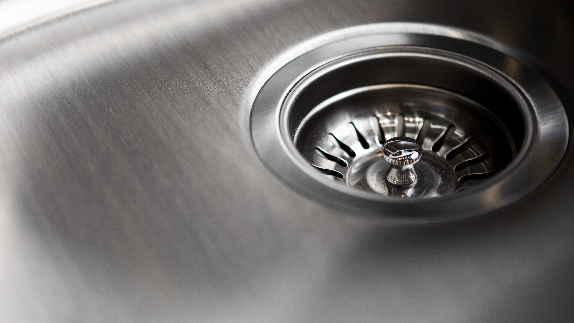 Many harsh detergents contain chemical additives that slowly damage the original sheen of the stainless steel sink. 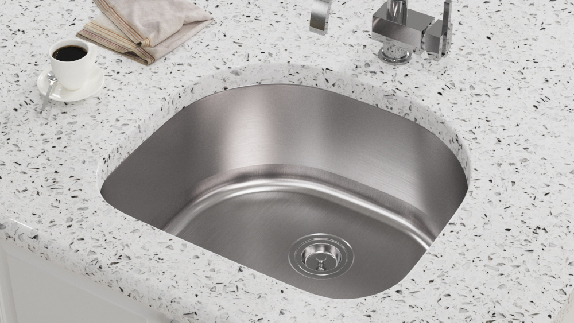 Rinsing thoroughly with water and drying completely with a soft towel is a simple task that can extend the beauty of your stainless steel sink for years to come. 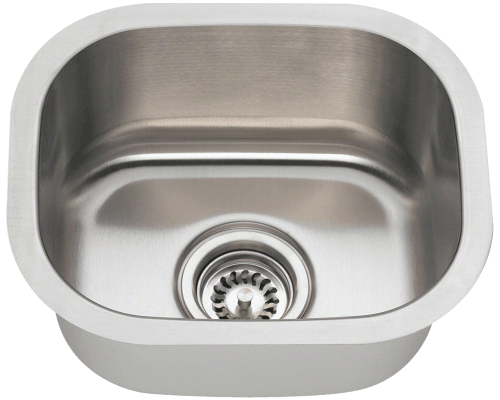 Similarly, cleaning stainless steel sinks is an easy task. 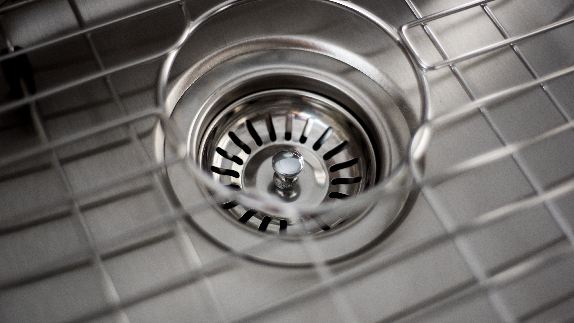 Once a week — and for stain removal - saturate the sink with a mild abrasive cleaner and use a soft cloth to scrub with the direction of the grain lines. Rinse thoroughly and dry with a towel. This helps to blend small scratches into the finish. 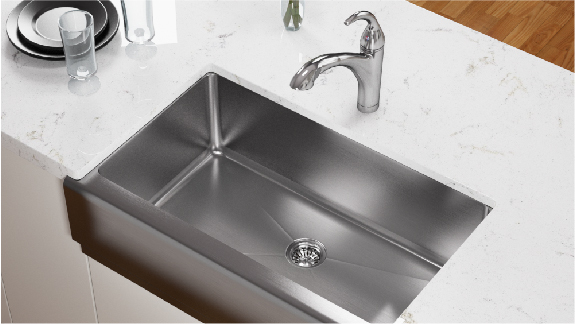 To avoid scratches, carefully place knives and heavy pots or pans into the basin of the stainless steel sink. You can also purchase a stainless steel grid accessory to sit on the bottom of your sink and protect the surface from dishes, pots and pans. For large and noticeable scratches, removal kits are available at most hardware stores, or online.